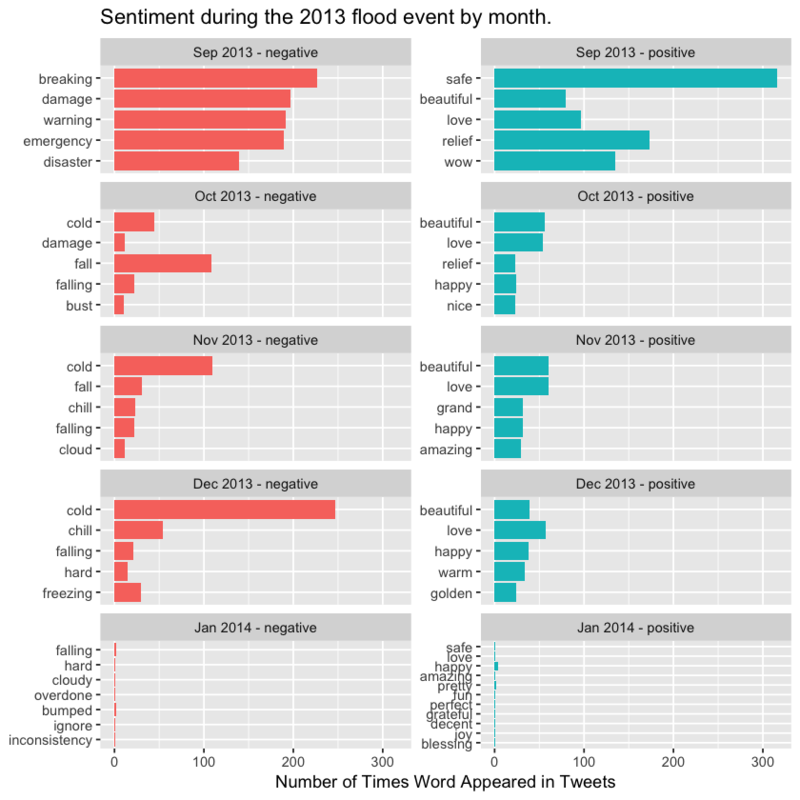 Use the tidytext package in R to perform a sentiment analysis of tweets. In the previous lessons you learned to use text mining approaches to understand what people are tweeting about and create maps of tweet locations. 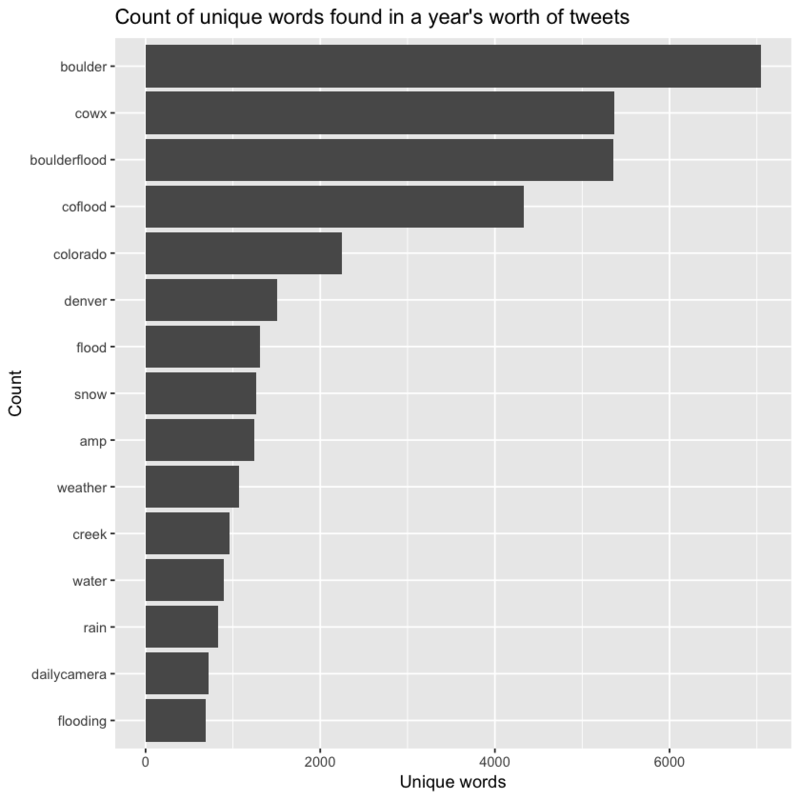 This lesson will take that analysis a step further by performing a sentiment analysis of tweets. Next, you can join the words extracted from the tweets with the sentiment data. The “bing” sentiment data classifies words as positive or negative. Note that other sentiment datasets use various classification approaches. You can learn more in the sentiment analysis chapter of the tidytext e-book. 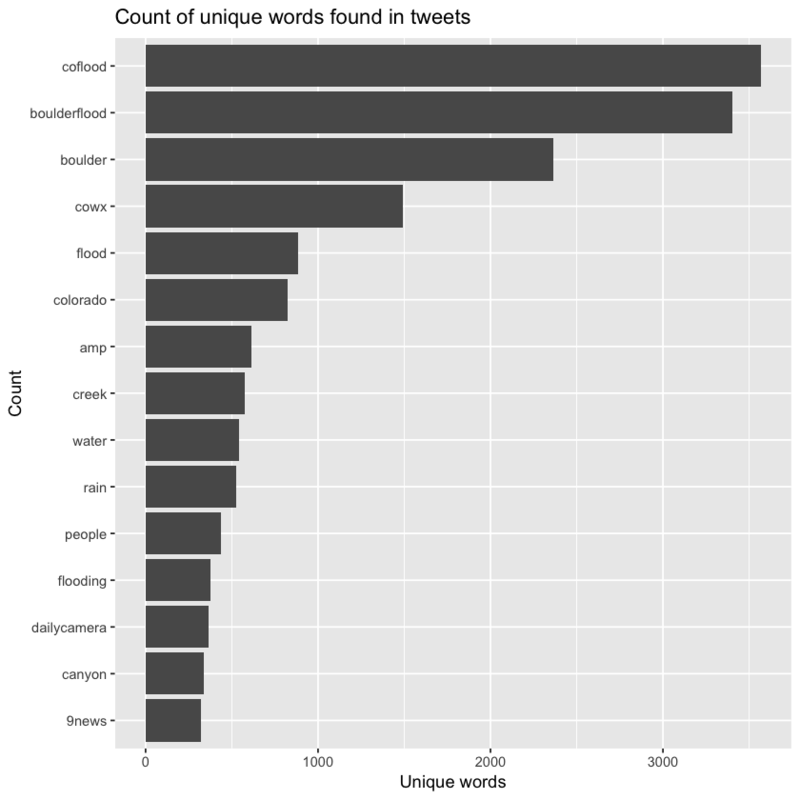 Finally, plot top words, grouped by positive vs. negative sentiment. 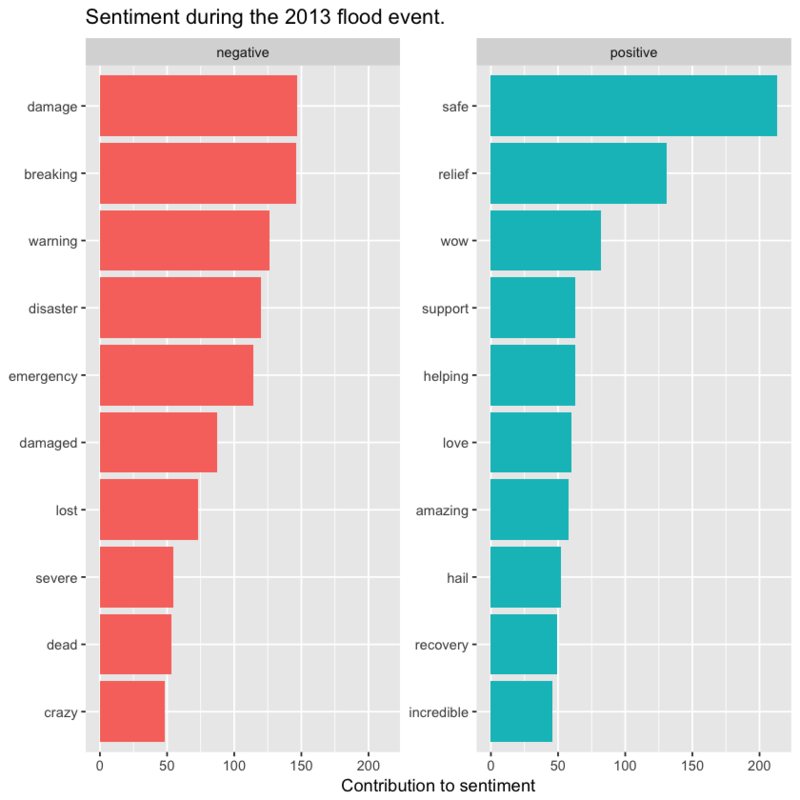 Given you have a year’s worth of data associated with the flood event, it could be interesting to plot sentiment over time to see how sentiment changed over time. Tidy text mining e-book - sentiment analysis chapter.